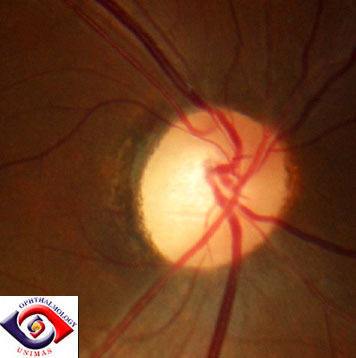 A 39 year-old man with AIDS was referred in early September, 2006 from the medical department because of progressive blurring of vision in both eyes. He was found to be HIV positive in June 2005 when he developed pulmonary tuberculosis. He was also hepatitis C and VDRL/TPHA positive (for which he received intravenous penicillin). He developed headache in early June, 2006 and the CD4 counts at the time of admission was 48/ul. A lumbar puncture confirmed the diagnosis of cryptococcal meningitis. He was given 2 days of intravenous amphotericin B but the treatment was suspended because of acute renal failure. The drug was changed to fluconazole. He was given HAART therapy in February 2006, but he defaulted the treatment and did not return for follow up due to financial problem. HAART therapy was restarted while he was hospitalized for the cryptococcal meningitis. Ocular examinations showed the visual acuity to be counting fingers (CF) in both eyes at 1 metre. There was no relative afferent pupillary defect. Slit-lamp examination revealed normal anterior segment without signs of anterior uveitis. 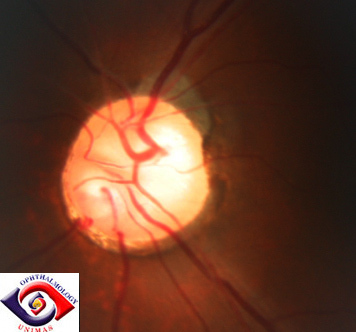 Posterior segment revealed normal retina without signs of cytomegalovirus retinitis. However both optic discs were pale with a cup/disc ratio of 0.8. The intraocular pressure measured 14 in the right eye and 12 in the left eye. a. How common is cryptococcal meningitis in AIDS patients? b. What may be responsible for his optic disc appearance?